Since then, I’ve been thinking some more and reading and listening to the ongoing to-and-fro between those who believe we should change the date of Australia Day and those who disagree. Sadly, there’s been a fair amount of vitriol and rancour from both sides. If the way we do something is important as well as what we do, perhaps this doesn’t augur well for the road ahead but I’m an optimist. There are many different strongly held views (and some ambivalence) on this issue but the more respectful and open we all are, the lower the temperature will be in this challenging conversation and that’s more conducive to an outcome that’s better for everyone. The views I express here are entirely my own*. On this issue, I firmly believe that we should change the date of Australia Day from 26 January to another date when all of us – Aboriginal and Torres Strait Islander people included – could wholeheartedly celebrate our collective achievements and immeasurable good luck to inhabit this beautiful country. 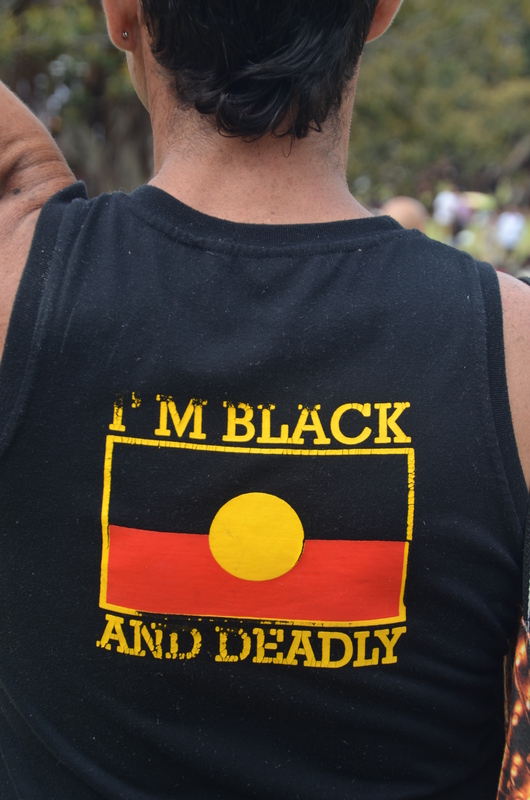 I think that, coupled with greater political and community leadership and real action on the plethora of important issues and challenges we face, changing the date would make a worthwhile difference to relations between Aboriginal and Torres Strait Islander people and non-Indigenous Australians. 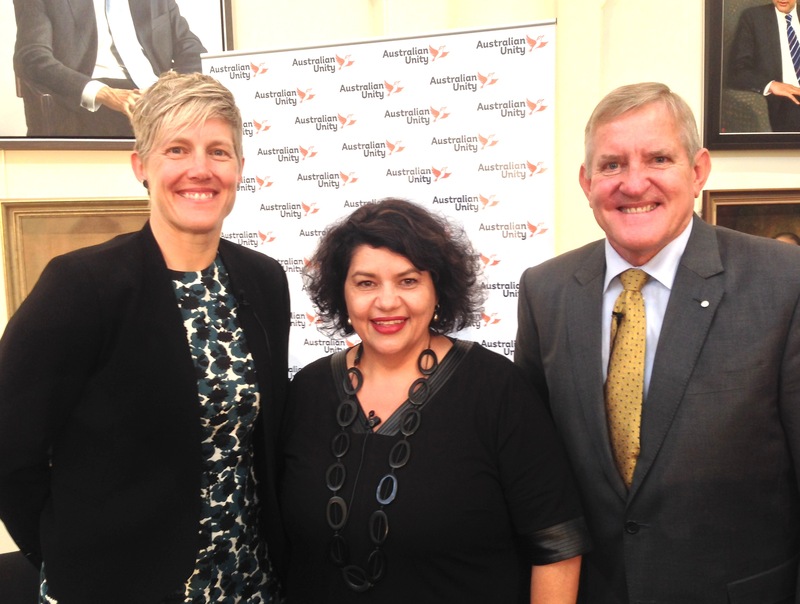 Melinda Cilento, Kirstie Parker, and Ian McFarlane at the 2017 Great Australia Day Breakfast in Melbourne. Melinda: Kirstie, Ian has given us a bit of perspective from his history and thinking about what this day means for him. Can you tell us a little about what it means for you as an Aboriginal woman, and to your family and friends? Kirstie: First, I’d like to acknowledge the traditional owners of this place, people of the Kulin Nation. And thank Australian Unity for the invitation to join you, and for your leadership at a contentious time and in a contentious space. It’s been very important for me to be able to cast around and, as was the case with Ian, see warm hearts in places where you wouldn’t necessarily expect them so that’s much appreciated. I join Ian in offering my condolences and sympathy to the people of Melbourne with regards to the terrible events here last week; I and I know many other Aboriginal people share your sadness. And, lastly, I would like to offer my congratulations to all of the winners of the 2017 Australian of the Year Awards announced in Canberra last night. For me, my circle, my family – as an Aboriginal family but also with people from other heritage amongst us…I had an Aboriginal mum and a non-Aboriginal dad – he’s actually a ‘Pom’ born in London – and I have both Aboriginal and non-Aboriginal friends but my circle really is in and amongst the Aboriginal community. 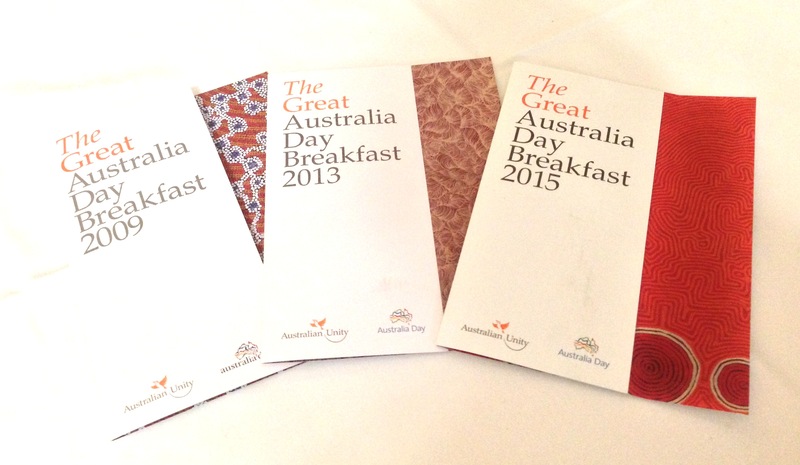 I would say that, generally, for us Australia Day is a day of reflection, not a day of celebration. That doesn’t mean there’s a denial of what a beautiful country we live in, literally beautiful land and all of its natural features… but there’s always something of a niggling, something captured by the title of a book by Henry Reynolds, ‘This whispering in our hearts’. But also a yearning to be part of something, which might sometimes come out as anger but I think has its roots in sadness. And Ian told us this was his first ‘bleeding heart speech’ and I say to him ‘a wonderful job for your first go and they’re only going to get better’ (laughter)…Ian spoke of bleeding hearts and it immediately made me think of broken hearts. Anger, for me is not the first emotion when I think of the antecedence of the date or the day itself, it’s sadness. Sadness that there is not an acknowledgement of something that is really quite painful but also a yearning for something to get better. I acknowledge you, Melinda, as the Co-Chair of Reconciliation Australia and you and I both sit on the Board of a pretty magnificent organisation where we get to meet Australians from all walks of life, Aboriginal and non-Aboriginal, all sorts of cultural backgrounds and all areas of society who show us day after day that they are willing and gutsy enough to have a conversation, and come with the warm hearts that (Australian Unity Group Managing Director) Rohan Mead spoke about earlier….so there’s yearning and, right now, it’s exciting, I have to say, to see the preparedness of many people to say ‘Okay, let me just think about this, let me take all of my emotion out of this conversation and perhaps put myself in someone else’s shoes for a moment’. So, this year especially, it’s also a very hopeful time. Melinda: Thank you for that. I want to tackle one issue with you head-on and put some perspective around it if I can. There are some who, I think, would feel that what we see as historical acceptance and truth and reconciliation as a bit of collective handwringing, it perpetuates a sense of victimhood, and ultimately it doesn’t really have much to do with the day to day lives of Aboriginal and Torres Strait Islander people or improving their circumstances, as Ian alluded to in his speech. What’s your take on that? Kirstie: Like Ian, I don’t think it’s necessarily about the things that some people say it’s about. It’s about something else. And, you know, Australians are such a complicated, passionate and emotional lot. So, on one hand, we might like to think of ourselves as tough and ‘knockabout’ or able to take the knocks and all of that and, on the other hand, so soppy and emotional. You only have to see ‘tough’ grown men cry and hug and kiss each other on the football field at the end of a Grand Final to know that we are complex and our different characteristics are sometimes diametrically opposed to each other. So, for every person who says this is about being handwringing and feeling sorry and ‘sookY’, to use a pretty Australian term, I see it as being able to show our emotions and I love that. I think the talk of handwringing and so on is tough talk, unnecessary talk. There’s a saying, ‘Don’t let the sad or bad things steal your softness and make you hard. Stay soft, and stay kind’, and kindness is one of the chief values that Australians like to think that they hold. I think perhaps we do. And other things like fairness, and decency, respect and openness. I think if we can remember those values, we can get past describing it each in certain ways like, you know, ‘latte-sipping trendies’ or ‘hippies’,…or ‘rednecks’. There is such corrosive language thrown about; if we can just step back. One of the best things about Australians is a sense of humour. Well, we don’t have to take ourselves seriously but we do have to take seriously the things that matter. Melinda: Ian, you by your own admission, started out thinking that people who talked about changing the date were just ‘latte-sipping trendies’ but you’ve changed your perspective on that after reflecting on your own history. I think it’s fair to say there are still many people in Australia who think that, if we were to move the day, that would be washing away another important aspect of our history and who perhaps at this stage aren’t supportive of the notion. I’m interested in what your political intuition, as a former politician, tells you about how we might move this conversation forward in a way that’s constructive and unifying. Ian: Well, I think the first thing we need to do is tell people that Australia Day on January the 26th is not historical. I’ve owned cars for more than 25 years or 22 years or whatever it is. I mean, that’s the reality, it’s not historical. 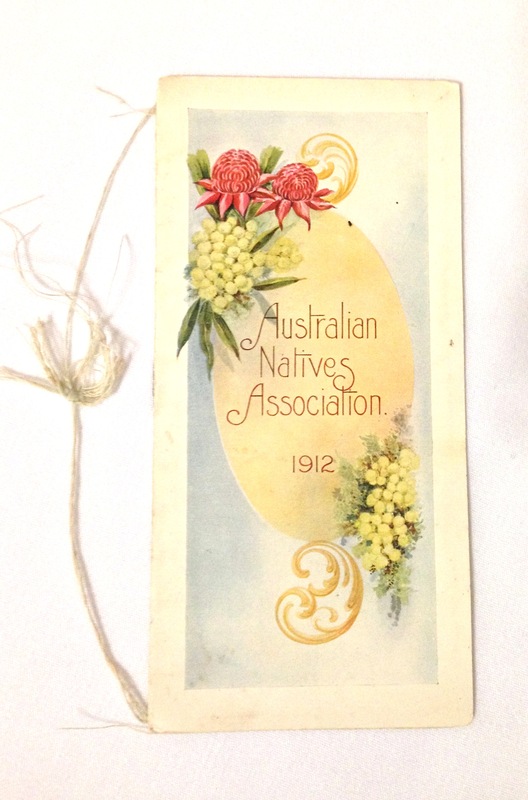 Yes, celebrating Australia Day is historical but the 26th of January isn’t. 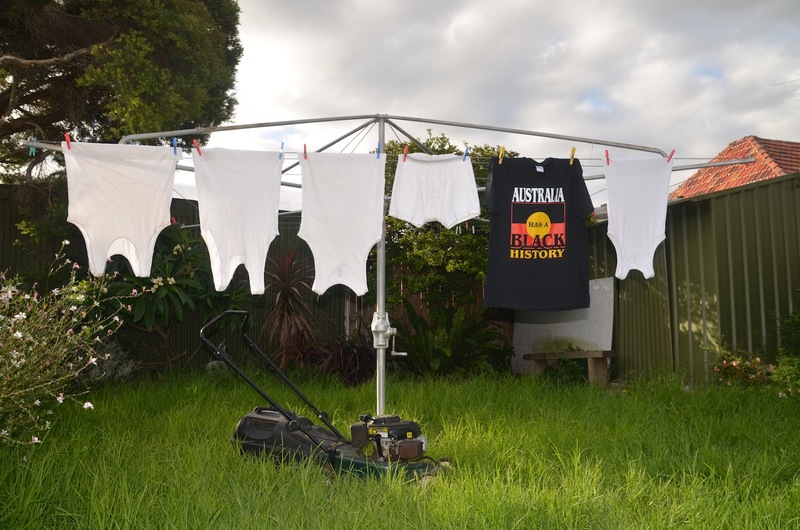 You could argue that that’s New South Wales Day, and I love New South Wales people – particularly one (Mrs McFarlane) – but the reality is that we don’t have a historical date yet so let’s not give it time to become historical. Secondly, there is going to have to be give and take on both sides and Warren Mundine enunciates this with much more credibility but he’s saying it has to happen from his people’s side. I guess I’m saying to our people ‘Well, we’ve got to give a bit too, you know’. I’ve been in a couple of negotiations in my life, and you always have to give a little to get a little. What do we want to get? We want to get this issue off the table so we can concentrate on that issue which is still not fixed. As I said, the mining industry is starting to make real inroads into remote Indigenous poverty but it takes everyone and if we’ve got even Warren Mundine – who I know wrote again this week – distracted by a peripheral issue, then that’s less time that he’s got to spend on this. This is what we’ve got to fix so there is going to have to be give and take. There will be a few in the Liberal Party who will be shocked. I think (Queensland LNP Senator) James McGrath will be taking to his Facebook page again, (after) the one he put up on Monday attacking the change. Our new Member for Tangney in Western Australia (Liberal MP Ben Morton) took out a full-page ad and he’s probably swearing at me right now. I mean, we’re just going to have to do it; it’s not going to go away. This issue is not going to go away and that’s part of my process. I’ve realised it wasn’t going to go away so I’ve taken a second look at it. You can’t just dismiss it anymore so we do have to change it before it becomes historical. We do have to change it in a mood of compromise on both sides. It won’t wash away the sins of the past; we’re not trying to do that but, as I said, we can’t change history but we can mould the future and that’s what this is about. Melinda: Kirstie, I’m going to give you pretty much the same question. In response to my first question, you spoke about sadness and what the day means for Aboriginal and Torres Strait Islander people. I know – having listened to some conversations on the radio and read some things this week as well – that there is this tension also, because there is pride in being Australian…I was listening to a woman talking about relatives who had served under the Australian flag in the wars and that tension of how you reconcile that. Ian has spoken of give and take. How do you see us progressing this with Aboriginal and Torres Strait islander people? Kirstie: That touches on something that I perhaps didn’t say at the outset…and, of course, I don’t speak for all Aboriginal and Torres Strait Islander people; these are my personal views…but, generally speaking, there’s a lot less concern about actually having a day when we celebrate together. A national day, though, is different to the date of that national day. So it is the date, rather than the concept of celebrating something. Because, you know, you hear in these sorts of discussions, ‘They’ll never be happy’ and Ian referred to some writing of Warren Mundine’s and in that Warren concluded that he wanted Australia Day moved, not because he doesn’t want to celebrate Australia but because he does. So there is, amongst the Aboriginal community, a wish to celebrate. Ian also raised something else again that we should fix this quickly because there are other issues that we need to crack on with and sort out and that’s absolutely true. If we changed the date, all of the problems that exist today will probably still exist so it has to be coupled with a real consciousness about them and a commitment that we will tackle and address the disadvantage and disconnection and so on. And I have said this, too, around my involvement with Reconciliation Australia: ‘When you trust each other, when you’ve been prepared to make yourself vulnerable, to concede that you don’t have all the answers, you can get to a point where you can say virtually anything to each other (and still come out okay at the other end)’. We see this with our best friends, you know, ‘You’ve known me forever, you’ve seen me at my best and my worst, so as weak as I may be seen, or as angry as I may be seen, you will forgive me and we will go on and we will get through this’. That’s where we need to get to in this sort of conversation. In terms of moving things forward, I do think that we need to start thinking about what would be a viable date, or what would be the hallmarks of a viable date? It could be something that is attached in some way to an already significant day or is it something that we create totally anew, that we build something together, where we build a tradition, we build memories and we infuse that day with all the things that we wish we had done since we all collided with each other? And the other thing is to keep reminding ourselves (of the main game), because there’ll be all sorts of distractions. When I read Warren Mundine’s piece, I read the comments – and they do say ‘Never read the comments’ – well, I read the comments and there were about 800 of them and, by the end of it, I was thoroughly depressed. It’s easy to get bogged down and riled up in all of this but you’ve got to keep the things that are important at the forefront; otherwise you’ll get stuck, and we have to remember that the best conversations are respectful and honest ones, that Aboriginal and Torres Strait Islander peoples’ views do matter, and that often sadness can present as anger. Sometimes we stop at anger but that’s really easy…it’s so easy to stop at anger, to say ‘I can’t stand you, I’m done’, and then walk in opposite directions. It’s harder and it requires a real toughness and discipline, something that Australians will say that they have, so I’d like to see us apply that to this discussion. And to remember the values that I mentioned earlier, compassion, openness, kindness, respect… All these things, we can agree on, and I don’t want to spend an awful amount of time talking about the things we can’t agree on. We can also agree, I think, that the 26th of January is not the ideal date, so what’s a better date? We need to get cracking on when that might be and remember not to sweat the small stuff but take notice of the big stuff. And the big stuff is what we can agree on and the fact that we all love this country and want it to be the best that it can be. Melinda: Well, what a great place to end the conversation and, for my part, how I interpret both of your comments is that it’s all about building a better relationship and one that we can all grow stronger with, and compassion and understanding. Can I thank both of you for demonstrating that, being open, being honest, and being prepared to tackle the hard issues because it really will make a difference to this country and to all of us yet. 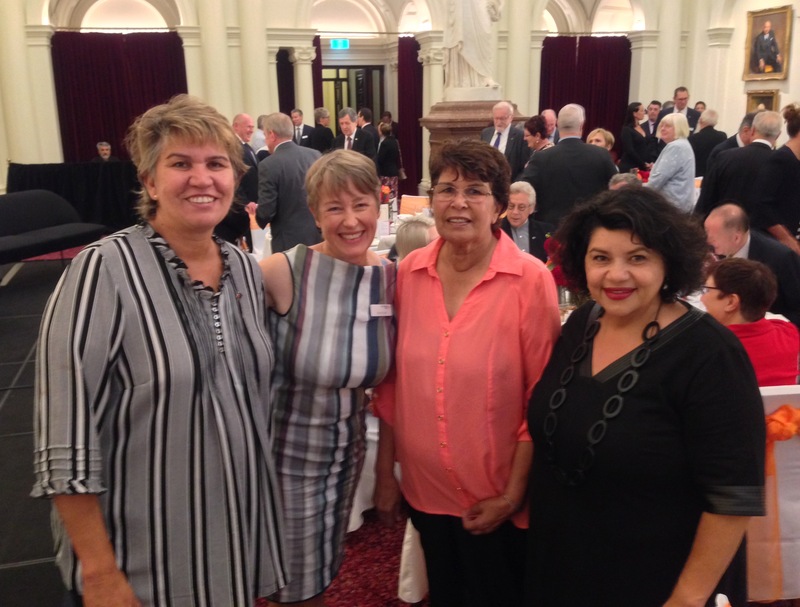 With my long-time friend Kerrynne Liddle, Australian Unity’s Kimina Lyall, and Jeannie Liddle at the Great Australia Day Breakfast. Through my past involvement in numerous community-led campaigns such as Close the Gap (around health, life expectancy and related social determinants), Change the Record (around Indigenous over-incarceration and disproportionate rates of violence), and another to preserve the fundamental protections contained in the Racial Discrimination Act 1975, I’m on the record as standing for justice and equality. These days, I’m the CEO of the National Centre of Indigenous Excellence (NCIE), based in the Sydney suburb of Redfern, although as stated above these are my personal views. I’m also a Director of Reconciliation Australia.